When you dial a telephone Dumber, high-speed switching mechanisms select your party and connect you. 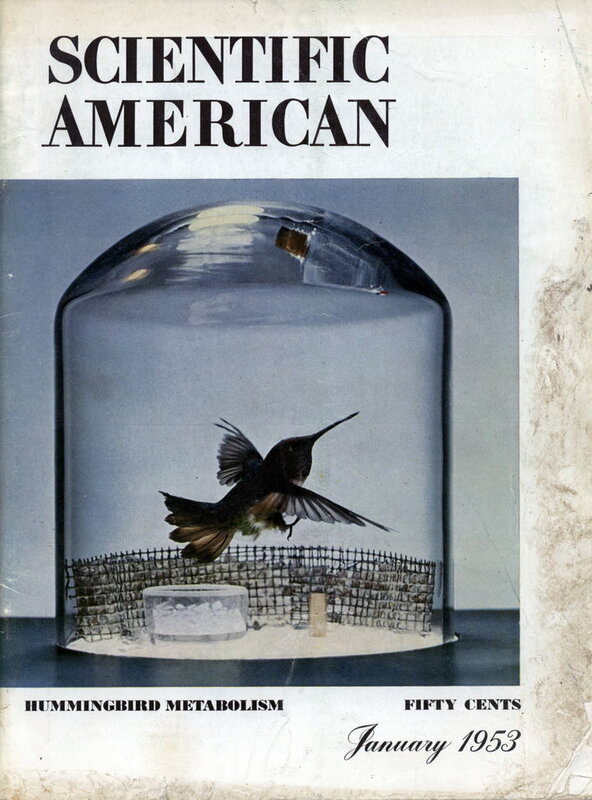 Through a new development of Bell Telephone Laboratories, similar mechanisms are doing the same kind of job in private wire teletypewriter systems which America’s great businesses lease from the telephone company. Company X, for example, operates an air transportation business with scores of offices all over the country. At one of these offices, a teletypewriter operator wishes to send a message, let us say, to Kansas City. Ahead of the message, she types the code letters “KC”. The letters become electric signals which guide the message to its destination. Any or all stations in a network, or any combination of stations, can be selected. Switching centers may handle 50 or more messages a minute . . . some users send 30,000 messages a day. Delivery time is a few minutes. 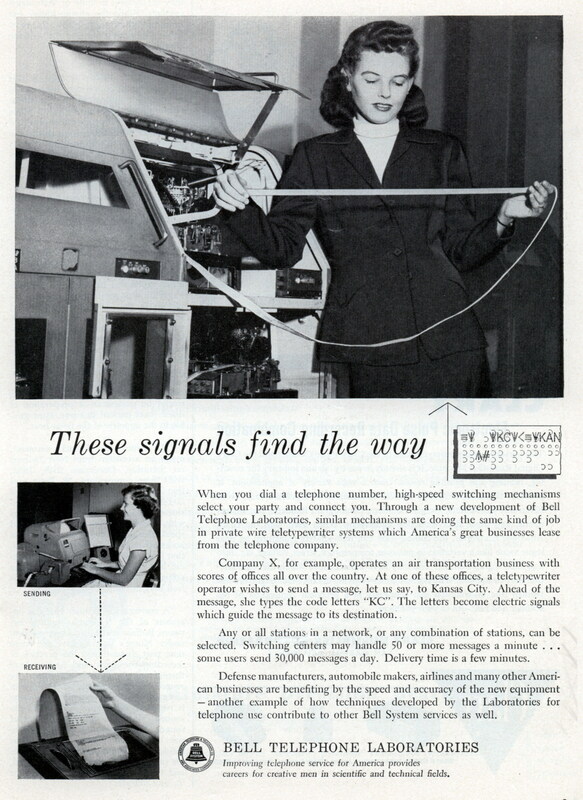 Defense manufacturers, automobile makers, airlines and many other American businesses are benefiting by the speed and accuracy of the new equipment â€” another example of how techniques developed by the Laboratories for telephone use contribute to other Bell System services as well.